Since the launch of its last luxury cruiser – the ill-fated Phaeton – back in 2002, Volkswagen has managed to reposition itself in the automotive pecking order (in the UK, at least). 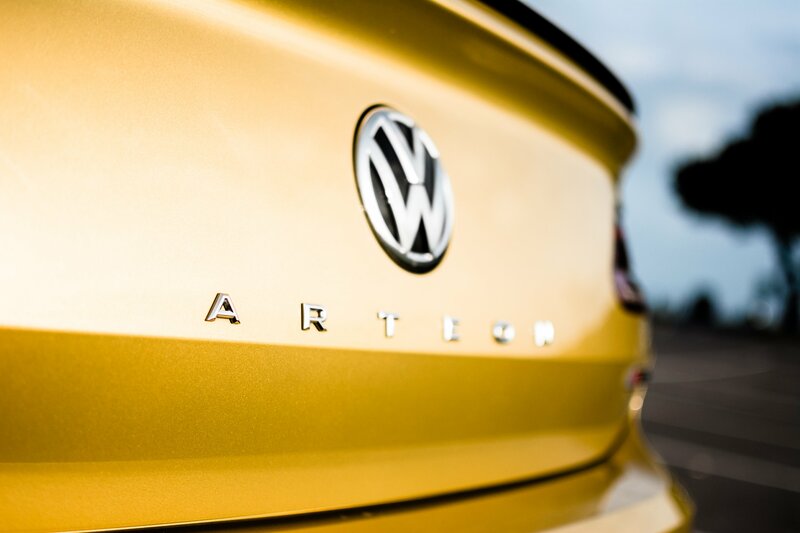 While offerings like the iconic Golf compete against multitudinous Fords, Vauxhalls and Peugeots, ‘Vee Dub’ is now synonymous with a more premium variety of volume manufacturing. Pull out a recent review of a Wolfsburg product and you’ll no doubt find mention of its “refinement”, “upmarket finish” and “reserved styling”. The last attribute is sometimes perceived as VW’s biggest failing though. As much as we love the latest Golf, its styling fails to wow when up against the more audacious designs of other manufacturers. 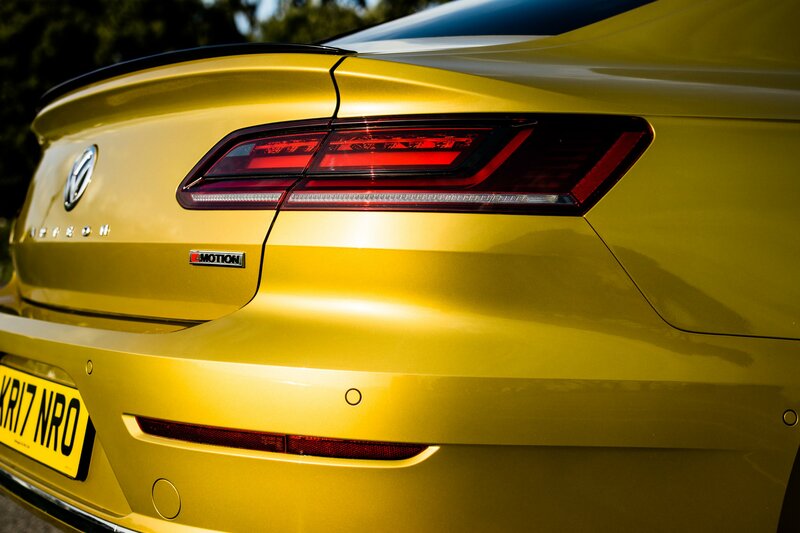 The flagship new Volkswagen Arteon looks set to change all that though, bringing a slick new style to the top table and marking VW’s return to the world of premium autobahn barges. Has it got what it takes to challenge the likes of BMW and Audi (without treading on the toes of its upmarket stablemate? 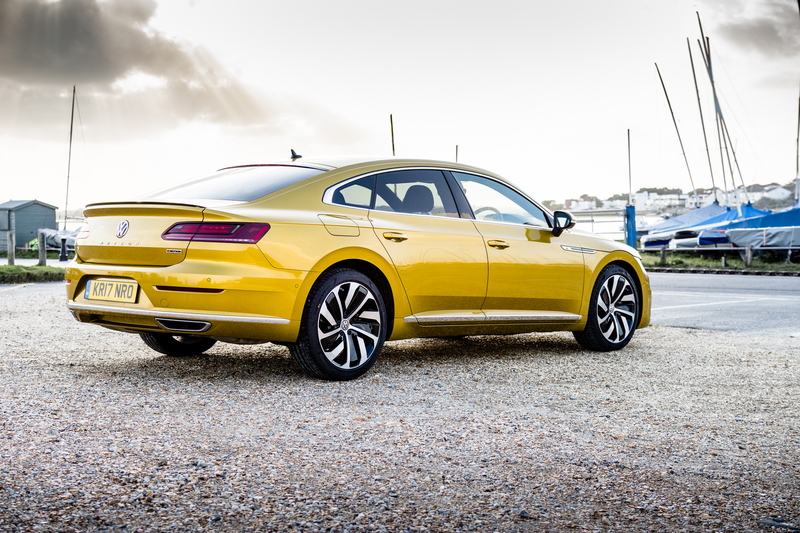 From the front the Volkswagen Arteon is truly eye-catching (we certainly haven’t driven round in a modern VW that has attracted as many intrigued glances). 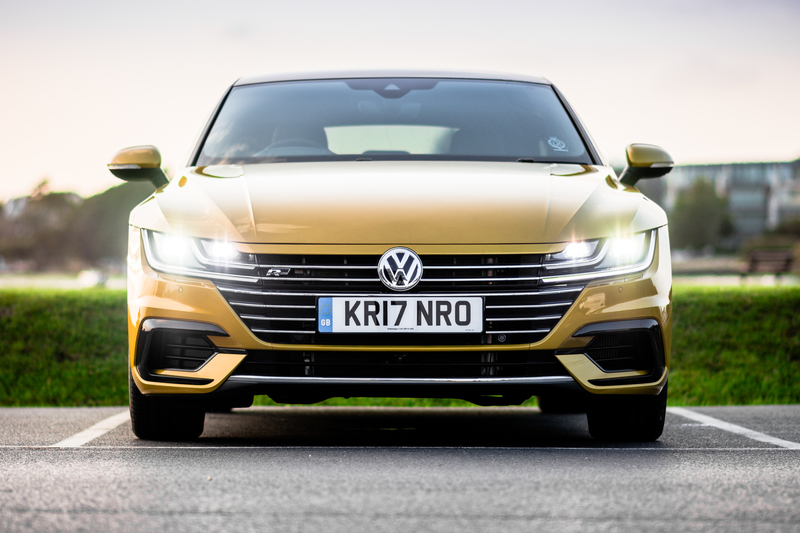 The main grille is suitably imposing without feeling like an overly gaping hole, while the sloping clamshell bonnet helps to reduce the bulk up front; looking at it from here, it’s no surprise that the Arteon has one of the best drag coefficients in VW’s line-up. Down either flank, the Arteon is surprisingly congested with swage lines, yet the end results never feels fussy. 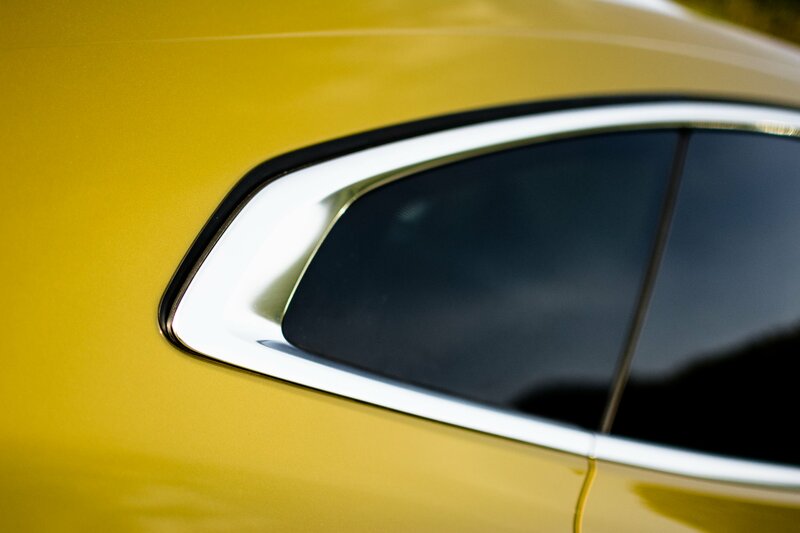 Instead, they help to provide a particularly sharped-edged hip that definitely has more than a hint of Audi A5 in it. If there’s a disappointing element to the overall aesthetic, it’s at the rear where, despite a few additional creases compared to the outgoing Volkswagen CC, it all feels a bit too bland. 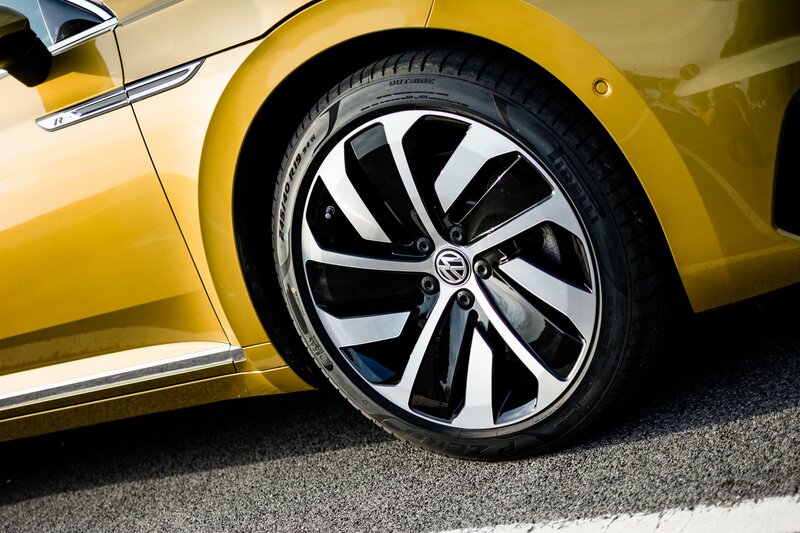 Overall though, VW is definitely onto a winner. 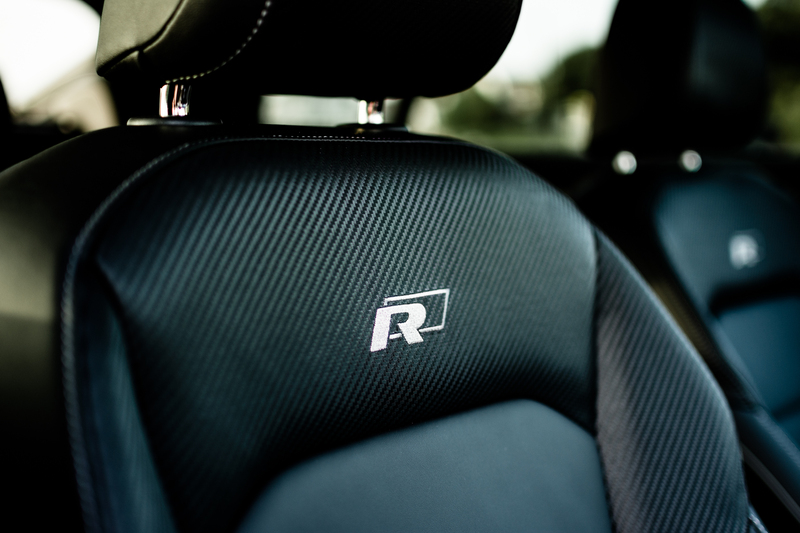 The fastback styling is a big hit with us, especially when paired with the addition of the R-Line pack (which adds a few gloss black bits of finery, like the rear lip spoiler, and some carbon-effect leather inside). 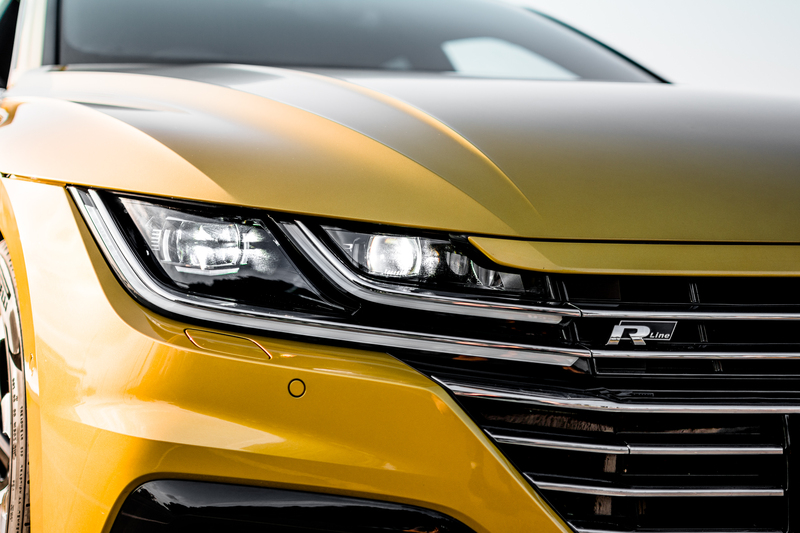 Intended to be Volkswagen’s new ‘halo car’, the Arteon has been jam-packed with gizmos and gadgets to the point where Wolfsburg’s engineers have actually created the most technologically-advanced VW yet. 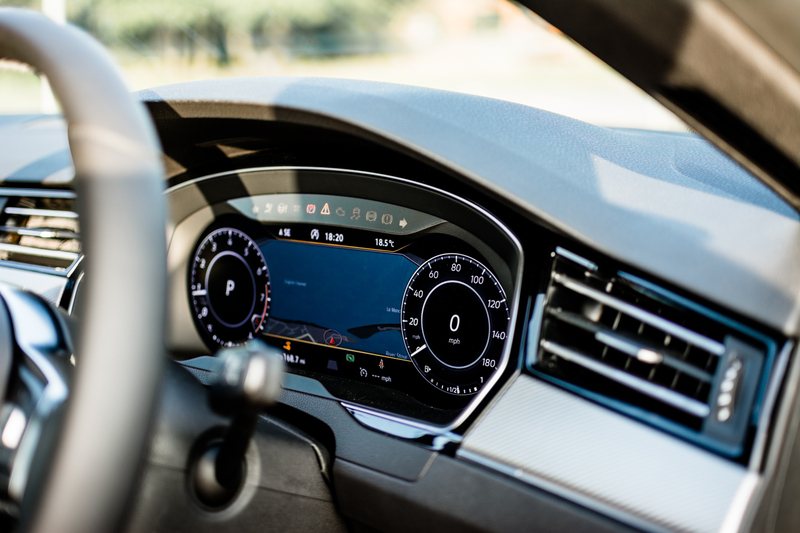 Semi-autonomous systems lead the way, headed by an updated adaptive cruise control (ACC) that is now able to read road signs and even recognise city limits, adjusting its speed accordingly. Using the GPS data, it also slows itself for particularly tight bends as well as pre-empting the need to stop at roundabouts and junctions. While exploring the talents of the various sensors and computers feels slightly unnatural on a B-road, left to its own devices on a motorway, the ACC helps to make effortless progress on a long-distance cruise (even if it sometimes leaves a rather large gap to the car in front and the Traffic Jam Assist doesn’t always want to pull away of its own accord). The fully adaptive LED lighting is especially neat thanks to the use of so-called ‘projector lenses’. Rather than simple illuminate the corner once you’ve turned in, the system illuminates bends before you’ve even turned the wheel. 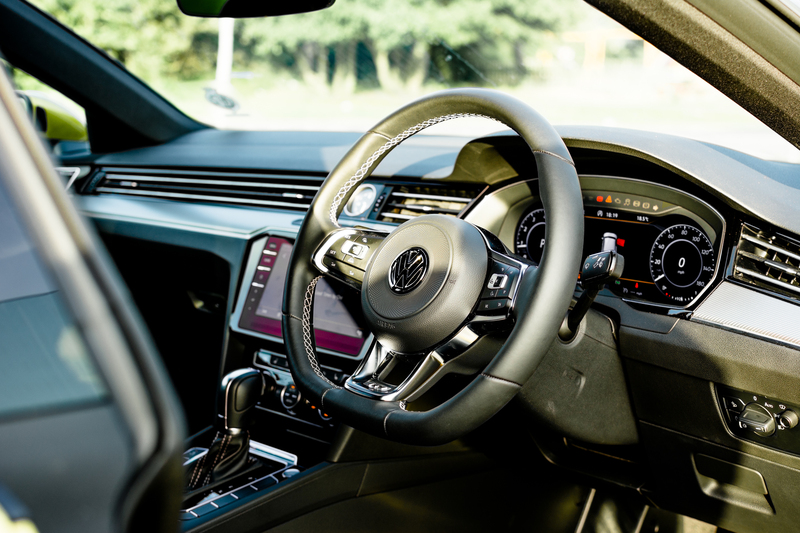 Inside, the Volkswagen Arteon gets a fully digital display – dubbed ‘Active Info Display’ – as first seen in the Audi TT. 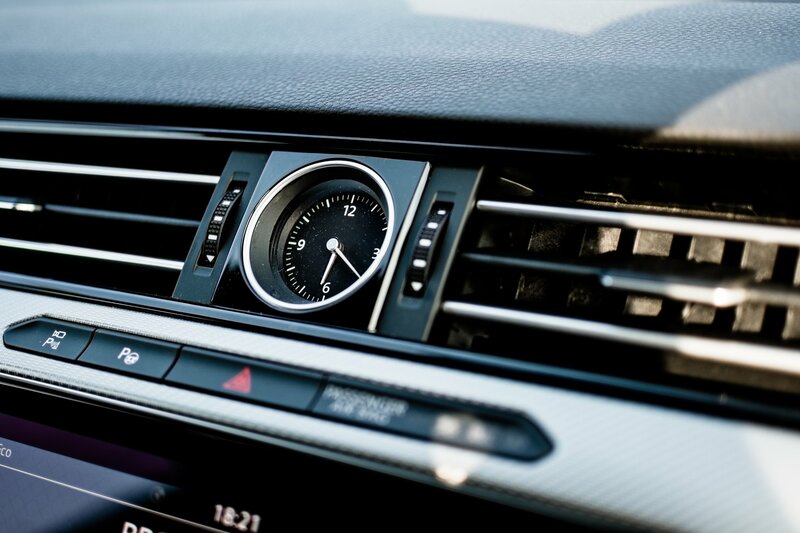 Providing a host of display customisation options, the digital dash is a welcome addition (and can’t come to the rest of the VW range too soon). It combines nicely too with the optional 9.2-inch Discover Nav Pro infotainment system. Tick that particular option and you get a rather lovely tablet-like screen, integrated into the centre console and bringing with it a host of features, such as gesture control and the increasingly ubiquitous Apple CarPlay/Android Auto. Our first experience of VW’s new luxury cruiser comes, appropriately, from the rear seats where, despite the sloping roof line, there’s ample head room (even for our six-foot-plus frame) and more leg room that a first-class flight. How have they managed this on the same platform as the Passat/CC? 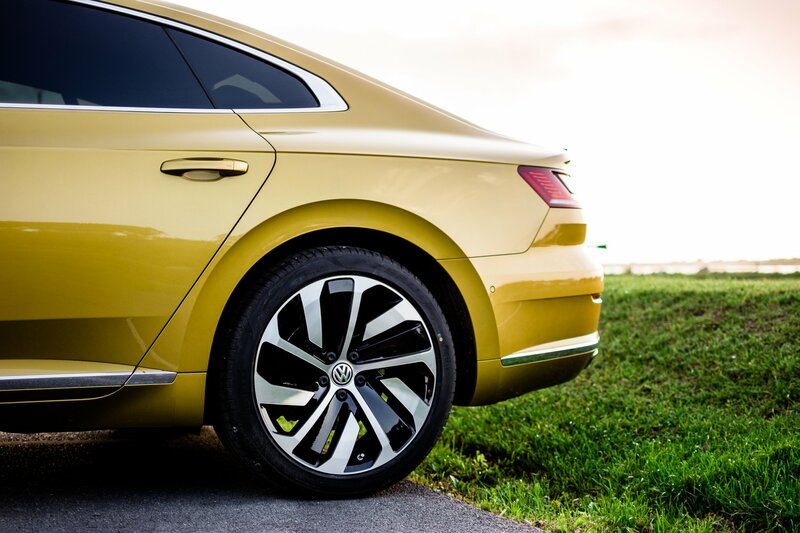 The Volkswagen Arteon gets an extended wheelbase, pushing the front wheels forward and providing more space in the cabin (without sacrificing space in the humungous hatchbacked boot). With the addition of third climate control zone and the option of heated rear seats, it’s a pleasant place to while away the hours (and miles). 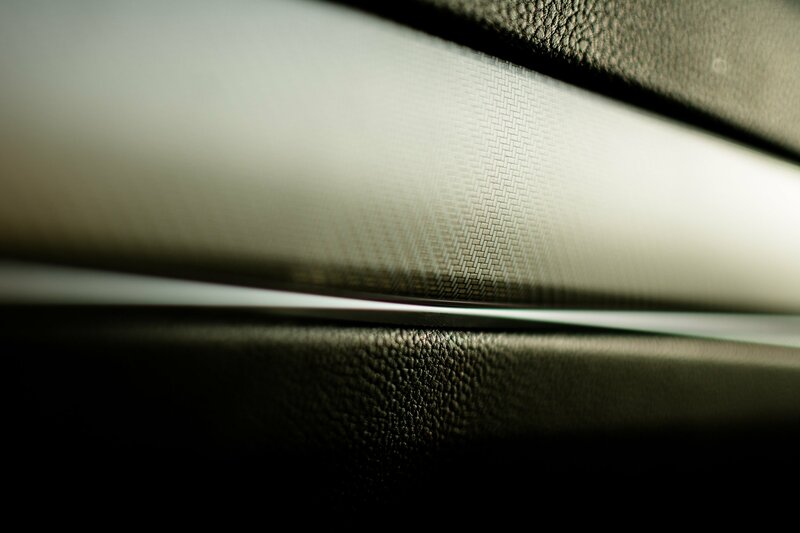 From the driver’s seat, things are – on the whole – similarly comfortable, especially when the car is left in one of the softer drive modes (such as ‘Eco’ or ‘Comfort’). 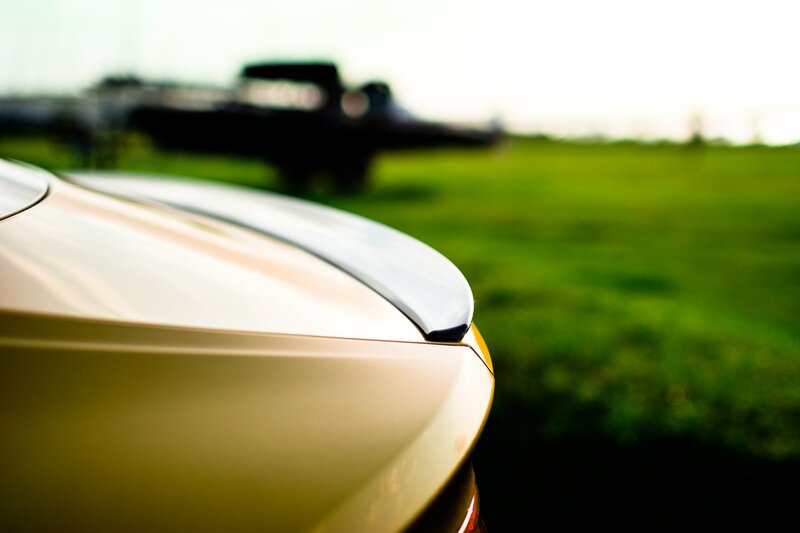 On most surfaces, the Arteon is able to glide relatively serenely, absorbing the harshest bumps and imperfections without feeling unduly soggy (or rolling like a ship in a rough sea). The ride quality unravels slightly though on more rutted roads, where the crash of potholes is sent surprisingly harshly through the cabin, even when running the standard 19-inch rims as opposed to the optional 20-inch alloys. It’s not a complete deal-breaker (even the likes of Mercedes and Porsche struggle as cars graduate to ever-larger rims) but it does help to take the shine off an otherwise polished ride. While many will no doubt opt for the 150hp TDI motor, we’ve plumped for the range-topping 280hp TSI petrol powerplant (which, along with the 240hp oil burner, gets 4Motion four-wheel drive and the semi-auto DSH gearbox as standard). 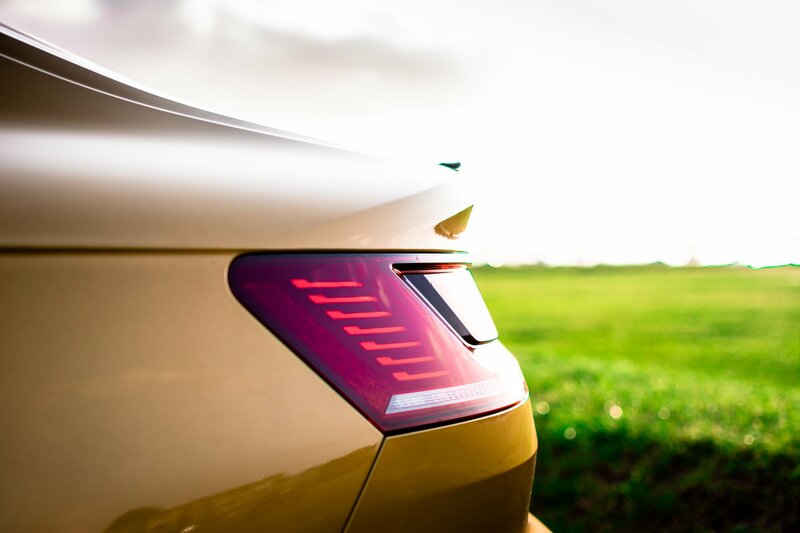 The official 0-62mph sprint is 5.6 seconds (with a limited top speed of 155mph) yet, despite these seemingly speedy figures, the Arteon never feels particularly quick. 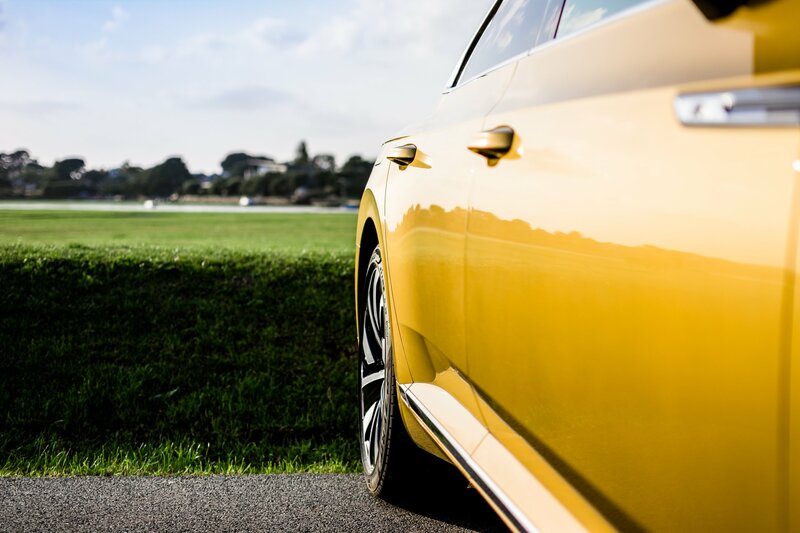 Perhaps it’s the 1,716kg kerb weight or the excess of slip in the DSG ‘box (which helps to smooth out each cog swap but doesn’t help the car’s dynamism) but, either way, the Arteon isn’t performance-focussed grand tourer. There’s no real involvement between man and machine when you push on – the variable ratio steering is accurate without bringing an abundance of feel and the chassis is relatively taught without ever feeling overly engaging. 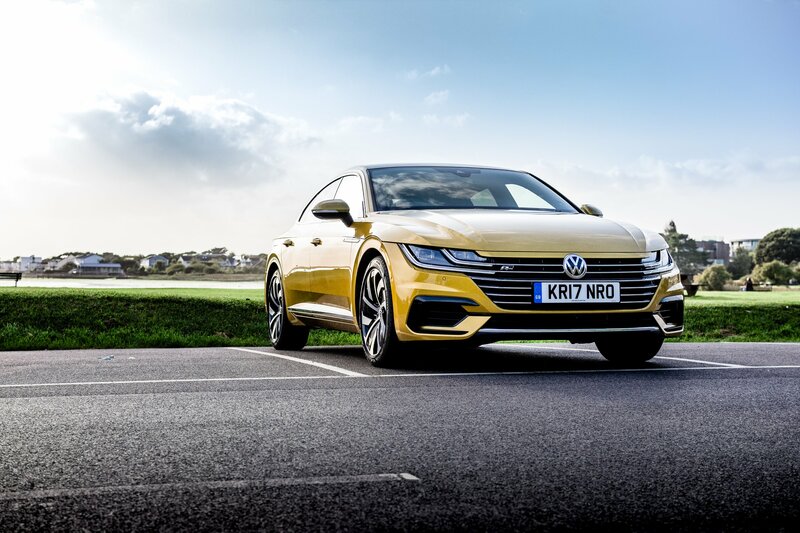 Instead, the Volkswagen Arteon aims to to be a stylish and serene long-distance cruiser, a brief that it achieves on most occasions with aplomb. Similarly, the interior is an eminently amenable place to spend your time commuting, with the fit and finish you’d associate with Wolfsburg’s finest (right down to the finer details like felt lining at the bottom of the door pockets). While they none get the blood pumping hard – it’s a shame there’s no longer a V6 engine in the stable – there’s a strong choice of powerplant, with the top-of-the-range petrol and diesel options ensuring that you’ll never be left wanting for pace. The DSG ‘box too is silky smooth, shifting between its seven ratios almost imperceptibly. The wealth of tech – much of it coming as standard – is definitely welcome too, with the vast majority adding to allure of the overall package. As with the Phaeton before it, price is one of the big factors though. While the starting price of £33,505 seems reasonable give the amount of car you get in return, the bog-standard Audi A5 Sportback comes in £550 cheaper. 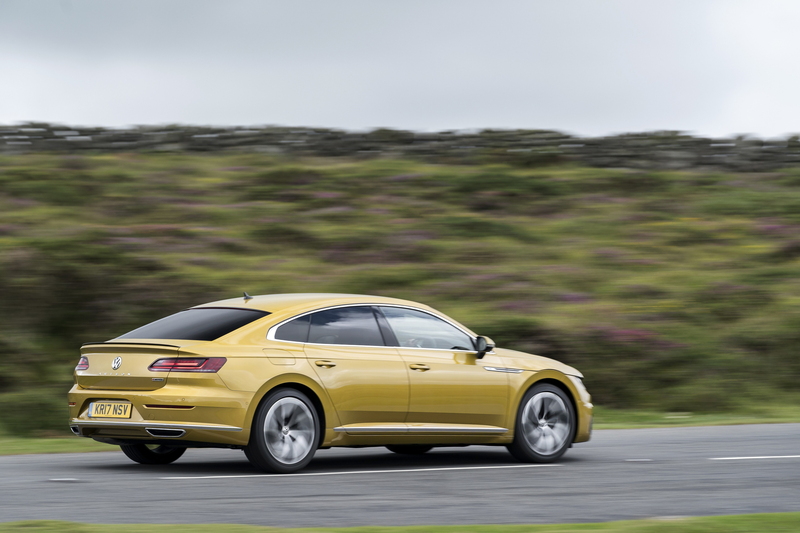 Now, no-one will buy the Audi without speccing a few costly options but, even still, our less-than-snappily-titled Arteon R-Line 2.0 TSI 280PS 4Motion starts at £39,540. While, it’s certainly a more stylish alternative to the Audi (and BMW’s 3 and 4 Series), it may be a tough sell to switch these prospective buyers to the VW badge. 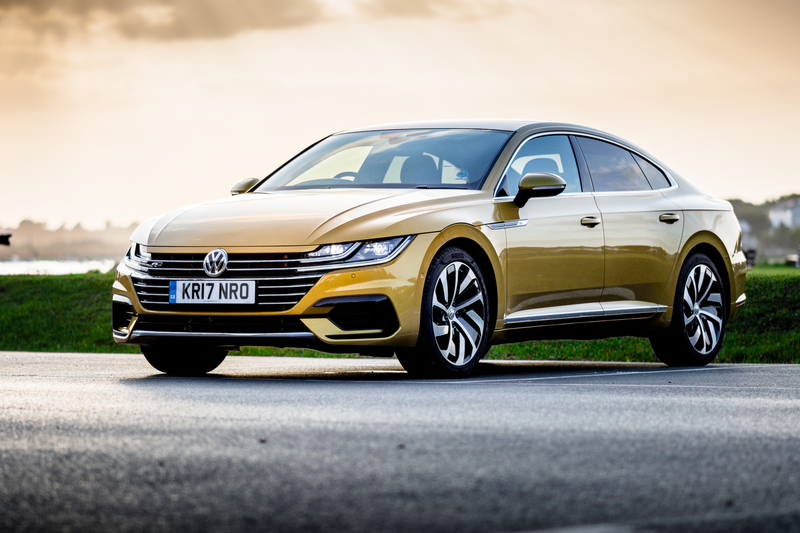 We hope we’re wrong though as the Arteon deserves to become a mainstay of the Volkswagen just for daring to be a bit different if nothing else.